Since hearing of Kelly’s fantastic news about getting engaged (congratulations!) and reading about Robyn’s first year of marriage (happy anniversary!) I’ve been thinking back over the six years the hubby and I have been together. I’m going to write a series of blog posts about our time together so where better to start than how we met. 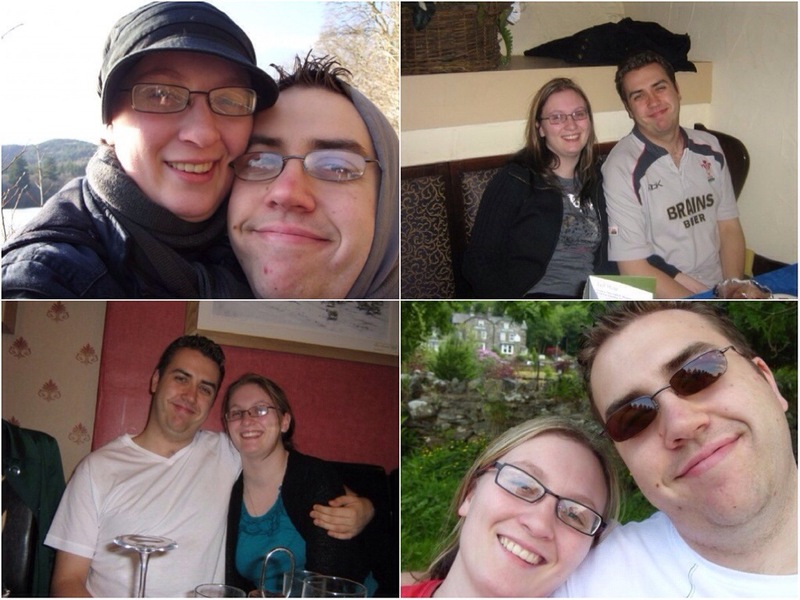 We first met back in March 2008 when we both attended an accountancy course. We were both under training contracts with different forms and we were sent to Caer Rhun Hall. A lot of the big firms send students there as it is – in comparison to big cities – in the middle if nowhere with nothing else to do but study! So most students who attend stay at the hall. However for both hubby and I it was local to where we lived so rather than pay to stay at the Hall we travelled in each morning. For this reason we both parked in the overflow car park. When I was walking back to my car after the first day I noticed he was also walking towards his – suggesting to me he was local. So me being nosey I turned and we both asked each other if we were local! I found put he was staying with his parents on Anglesey whilst attending the course. Over the next week we started to hang out over break times and lunch times and got to know each other a bit better. We talked about TV shows and found out that we both loved Red Dwarf! He’s told me since that when I said my fave show was Red Dwarf he went home to tell his mum that he’d met the girl of his dreams!! (Awww!)! We talked about films and music. I said that growing up Ghostbusters was one of the best films ever! On the way to the shops he put a cd on and the first song that was played was Ghostbusters by Ray Parker Jnr. We both started singing along to it and had a great laugh! On the Monday of the second week I mentioned that I only had two days left as I wasn’t on the second course held that week. He thought I was there all week so on Monday lunchtime he asked me out for a drink the following evening. I was never a going out type so my history of boyfriends is pretty non existent so having someone ask me out was a novel experience!! I was a bit taken aback but decided I had nothing to lose so I said yes! On Tuesday I had a half day so I went to Llandudno to pass the time until he finished his course. I went up to Randolph Turpins on the Great Orme and spent the afternoon reading my book with a cup of tea. At around 6pm I met him at the local Wetherspoons to have a meal. We had some nice food and chatted about this that and t’other. Afterwards we went for a walk on the promenade. He walked me back to the car. As we were saying goodnight he went in to kiss me but I went in to hug! To this day he won’t let me forget that I didn’t kiss him on the first date! He even mentioned this fact in his speech at the wedding! I made Jan watch the first 2 seasons of Rec Dwarf with me. We’re on to Farscape now. I’m never going to be allowed to forget it! Did he enjoy Red Dwarf? I’ve never watched Farscape.